Headgear with adjustable button match all head styles. Material: high quality synthetic & high-temperature resistance fibers. as normal situation. Because we must be responsible to our. We are a wig factory!!! Material: high quality synthetic & high-temperature resistance fibers. headgear with adjustable button match all head styles. as normal situation. So if you need. length: (as below). Human Hair Type:Brazilian Hair. Material Grade:Remy Hair. Lace Wig Type:Lace Front wigs. Item Type:Wig. Texture:Silky Straight. Color of Lace:Transparent. Density:150%. Base Material:Swiss Lace. 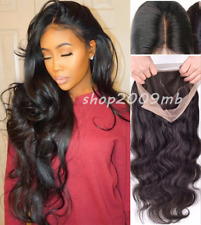 Lace Wig Type:Lace Front wigs. 1 x Synthetic Lace Wig. Material:Heat Resistant Synthetic Fiber. Hair Length:14". You can adjust the hooks inside the cap to the correct size for you. Hair quality:No knots, no fading,No shedding very soft. Being able to make your own hair style. color: (as below). Due to the difference between different monitors, the picture may not reflect the actual color of the item. 2>Responsibility Priority. Excellent Quality straight 100% Japanese Kanekalon (high quality one-) made fiber wig with a wig-centering design, It was made of high temperature wire, Therefore, it can be straightened by hair sticks. This is not lace front, it is a classic wig with a very natural front and made to a high standard. Superb quality wig with skin top parting. Don't try to get every hair perfectly in place. This can make your wig look "un-natural". We are a wig factory!!! Material: high quality synthetic & high-temperature resistance fibers. Nail Care & Polish. headgear with adjustable button match all head styles. as normal situation. Because these lace front wigs are hand-made, the color mixing could be done a little differently for each wig. 1x High quaity Lace Front Wig Heat Resistant wig. Item Style:Lace Front Wig. Material:High quality HEAT RESISTANT(150C) Japanese synthetic fibre. Lace Wig Type:Lace Front wigs. 1 x Synthetic Lace Wig. Material:Heat Resistant Synthetic Fiber. Hair Length:24". You can adjust the hooks inside the cap to the correct size for you. Hair quality:No knots, no fading,No shedding very soft. Color: Ombre Blonde. Fashion design, suitable for party, halloween, cosplay, as well as for daily use. Type: Small Lace Wig Material: Heat Resistant Synthetic Fiber. This top quality wig is made of premier synthetic hair so smooth, silky and soft it feels and move like real human hair. Material:High quality HEAT RESISTANT(150C) Japanese synthetic fibre. Wigsforyou -- "Synthetic Lace Front Wig 7A Quality at Competitive Price". Because these lace front wigs are hand-made, the color mixing could be done a little differently for each wig. Fashionable and stylish long hair wig looks natural, real, very pretty and feminine;. The size is adjustable. It should be fit on most people. All you should need to do is adjust the hooks inside the cap to the correct size to suit your head.